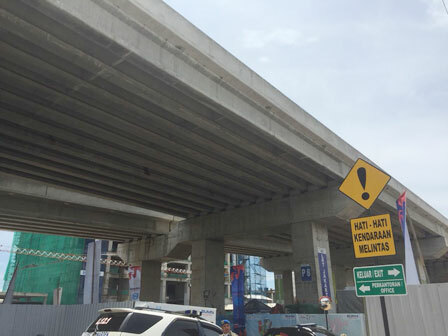 Light Rail Transit (LRT) Velodrome-Kelapa Gading route construction has reached 65.17 percent. "LRT is still able to operate in July and in August as public transportation for Asian Games "
Jakarta Propertindo (Jakpro) Director, Satya Heragandhi mentioned, weather condition is one of his problems in construction. Because his side needs to stop the construction work while raining. "LRT is still able to operate in July and in August as public transportation for Asian Games," he informed, Monday (3/12). He added, currently all systems have been connected. Such as system for rail acceleration and system to control telecommunication and signalling have been connected. "Now we are focus to accelerate the rail work," he affirmed.